RCMP Alberta - The RCMP continue to respond to collisions and warn holiday traffic of poor driving conditions in various locations across the province. Shortly after 1:00 p.m. today, Fox Creek RCMP were dispatched to a multi vehicle pile up on Highway 43, eastbound lanes, approximately 20 kms east of Fox Creek. This collision was in the valley near the Iosegun River. A secondary 15 vehicle pileup occurred shortly after, approximately 1 km east of the initial collision scene. 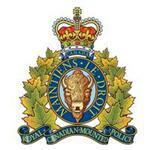 The RCMP can confirm that one adult male succumbed to his injuries received in the initial reported collision. The northbound lane of Highway 43 at Fox Creek is open and traffic is flowing. Traffic is stopped southbound, and is currently backed up for several kilometres. Tow trucks are actively working on trying to remove all vehicles blocking traffic. It is anticipated that this will take approximately one more hour. RCMP Members remain on scene to continue to safely funnel as much traffic as possible in either direction. In other areas of this province, snowfall continues. The Cochrane RCMP are now reporting white out conditions with extremely limited visibility in the follow areas: Highway 1, Highway 1A, Highway 22, and all other roads in the Cochrane area, west of Calgary. In the interest of trying to help keep travellers safe this holiday season, the RCMP continue to recommend travel only as necessary.